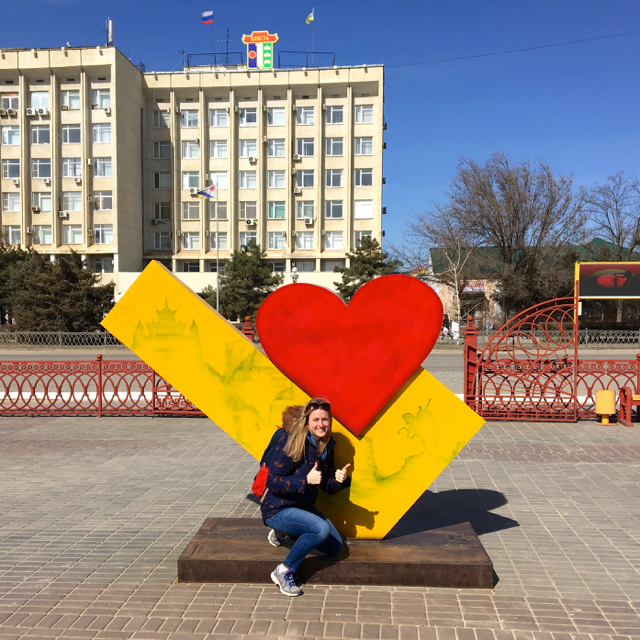 Kalmyk Adventure Blog: How did we get here? 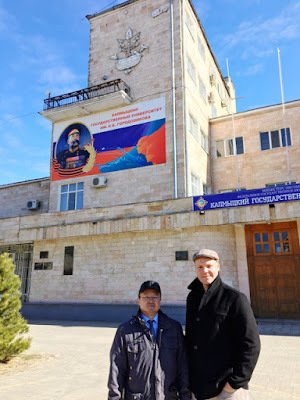 My first visit to Kalmykia was in February and March 2010. 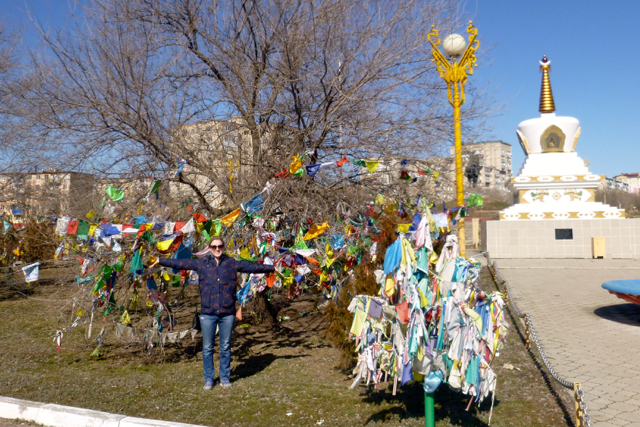 On that trip I was conducting research for my dissertation on Buddhism in Russia. I did interviews and focus groups with local residents, and worked with Valeriy on organizing a 300-person survey (which he helped carry out later that summer). 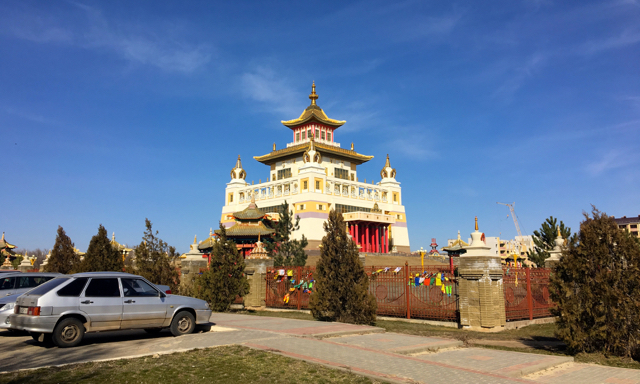 This work resulted in a publication on the competing interpretations of Buddhism's revival in Kalmykia (linked here). To spare you from reading it, the central argument is that these interpretations depend on whom you ask; religious leaders in the republic worry that the revival is broad but not deep, while everyday believers are ok with not being experts on Buddhism and rather see the religion as an important part of their national identity. I'm really excited to be back and to be here with Mackenzie. She is great at documenting daily life, something that I miss with my head in the academic clouds. And the experience of sharing a place that is special to me with her has been more rewarding than I anticipated. So what exactly are we doing here? I was awarded a Fulbright U.S. Scholar award from the U.S. Department of State to conduct research and teach a class at Kalmyk State University. The class is still coming together. The topic that I've proposed to the university is the cultural geography of Kalmykia and Russia--i.e. how the religious landscape has evolved over the quarter-century since communism. 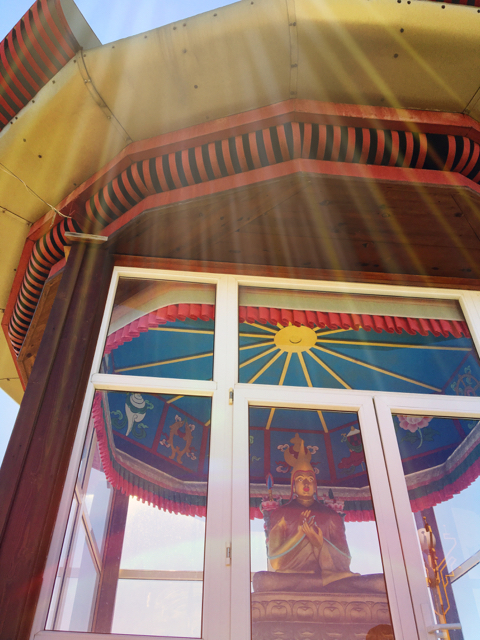 This is evident in our experience in Elista, where we see stupas, pagodas, statues of Buddha, and the central temple every day. With respect to research, over the four months my aim is to conduct approximately 30 interviews with older Kalmyks. I'm specifically interested in those who remember or were born during the deportation (from December 1943 until 1956-57, the entire Kalmyk population was resettled to various locations; I'll write more on this later). I'm also interested in talking to those who have memories of what life was like in the Soviet Union, specifically with respect to Buddhism. 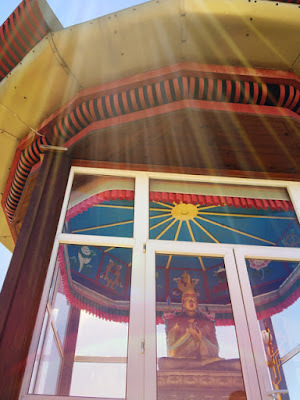 The idea is to get a sense of Buddhism's role in the recent history of the Kalmyks as part of a larger book project, which will tell the story of Kalmyk Buddhism in history (during the Soviet period), minority (after the end of the USSR, since 1991), and diaspora (among the Kalmyk American population that lives primarily in New Jersey and Pennsylvania). I'll be sure to provide more updates as the research progresses, and I'll fill in some of the details I've introduced here.